Fundraising is an important part of The RIDE For Our Vets. We offer a variety of resources to help get you started! Your rider coach, Emilie, is always available via phone or email to offer suggestions, provide additional resources and tailor a fundraising plan to your efforts! Riders are responsible for raising a minimum of $200 to support Connecticut veterans. Children 12 years old and under are responsible for a $50 fundraising minimum. Top fundraisers are eligible for numerous incentives leading up to and during THE RIDE For Our Vets. Your fundraising page will remain open until Saturday, June 30th. The RIDE For Our Vets offers a variety of resources to get you started! Your rider coach, Emilie, is always available via phone or email to offer suggestions, provide additional resources and tailor a fundraising plan to your efforts! Fundraising Basics - Everything you need to know about fundraising! Helpful tips, a schedule to keep you on task and a checklist for writing your fundraising letter/email… all in one place! Donation Form - Have you collected any cash or check donations? If the answer is yes, be sure to complete this donation form for each donation you collect. Bring the forms and donations with you to The RIDE! Memory Jogger - Our biggest piece of fundraising advice? Ask everyone you know! We know that can be a bit daunting, so we’ve made this memory jogger to help give you an idea of where to start. 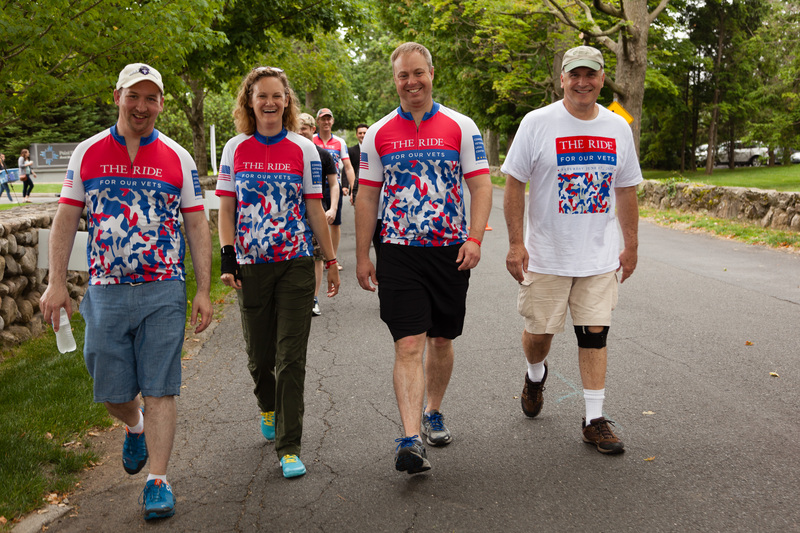 We are so grateful for our participants and their efforts to support Connecticut veterans! As a thank you, we're introducing a brand new incentive program! Check back often, as we'll be adding more perks leading up to The RIDE. TWO Round Trip Flights courtesy of JetBlue: No, your eyes are not deceiving you! We're giving away TWO round trip flights (thank you, JetBlue!) to the participant with the most individual donors. To win, simply be the participant who receives donations from the most people. It's that simple! Limited-Edition Socks: Back by popular demand! Due to their overwhelming popularity last year, we're bringing back our RIDE socks! How can you earn these socks? Simply raise your $200 fundraising minimum by May 31st. It's that easy! Register now and start earning your pair! VIP Breakfast: We'll be serving a variety of premium breakfast treats in our new VIP Breakfast Zone for our sponsors and participants who raise $1,000 or more by event day! Sign up and start earning your spot as a RIDE VIP! We are also happy to announce we've grown our jersey program! The first 100 riders on the 50-, 62- and 100-mile routes to reach their fundraising minimum will receive a complimentary, limited-edition RIDE jersey. The first 50 riders on the 25-mile cycling route and 5K walk route to reach their fundraising minimum will receive a complimentary, limited-edition RIDE wicking shirt. Jerseys and wicking shirts will also be available for purchase at The RIDE while supplies last!